Should you refinance your mortgage? A lot of people have been pondering this question lately. The currently low mortgage rates is a big part of why refinancing is appealing. But refinancing to lower your monthly mortgage payments is another big reason why so many people are wondering if they should refinance or not. 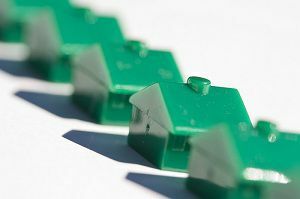 In this article, I am planning to explain what mortgage refinancing is, why you should consider it, and whether or not it makes sense for you. Home mortgage refinancing, or home loan refinancing, is basically the process of taking out a new mortgage with a new terms and interest rate to pay off the existing home loan. You can either do this with your existing mortgagor (mortgage lender), with a different financial institution, or you could go through intermediaries like LendingTree to have several lenders compete for your loan to get the lowest mortgage refinance rates. Lower your overall costs — The main reason why people choose to refinance their mortgages is to lower their borrowing costs by taking advantage of the lower interest rate. This is why more people are refinancing their home loans when interest rates are low. Lower your monthly mortgage payment — Another reason to refinance is to lower your monthly payment and improve your cash flow, so that you’ll have more money available to do other things. You can lower your monthly mortgage payment by taking out a similar loan at a lower interest rate, or taking out a longer-term loan — i.e., refinancing the current loan with 20 years left to a new 30-year fixed rate loan. Reduce your risk — Refinancing can also be used as a risk management tool. For example, if your original home loan is an adjustable rate mortgage (ARM), you could refinance to a fixed rate mortgage to protect yourself against sudden rise in interest rates when the initial discount period expires. Raise cash — Refinancing can also be used to unlock your home equity and gain access to cash. This is called a cash-out refinancing. Specifically, you are taking out a larger loan than you currently owe, and keeping the difference in cash. Money raised from refinancing could be used for different purposes; for instance, for home renovation, to pay off high interest debt such as credit card debt, to pay for major expenses, or for investment purposes. Shorten your mortgage term — Refinancing isn’t always about lowering your monthly payment. If you are earning more than you used to, it may be worthwhile to covert your longer-term mortgage to a 15-year loan. This is generally better than prepaying the loan, because 15-year loans have lower interest rates than a longer-term loan. This will help you pay off your home loan much faster and save you tens of thousands of dollars in interest payments. Eliminate Private Mortgage Insurance (PMI) — If your equity increased above 20% due to the rise in your home value, refinancing could be an option to get rid of your PMI if you can’t persuade your lender to drop the mortgage insurance. Getting rid of your PMI could save you $100 or more a month. Usually, the best time to refinance your home mortgage is when interest rates are low. Due to the costs associated with refinancing, the current interest rate should be at least 1% lower than the interest rate on your existing loan for refinancing to make sense. Your creditworthiness — i.e., your credit score — improved enough to qualify for a better interest rate. Your financial situation changed significantly. For example, you want to lower your monthly payment because it’s straining your budget. Your adjustable rate mortgage teaser rate is expiring and you expect your interest rates to rise. For a more in depth discussion, please take a look at When is the Right Time to Refinance? at BeingFrugal.net. However, it’s important to remember that refinancing is not a free lunch. There are closing costs associated with refinancing similar to the closing costs that you paid when you first bought your home. Closing costs usually include fees associated with: survey, appraisal, title search, title insurance, realty transfer taxes, legal services, messenger or delivery services, document copying, etc. You may also choose to pay points to get a reduced interest rate on your new loan. A point represents 1% of the total loan amount. For example, one point on a $100,000 mortgage costs $1,000. However, you are not required to pay points. In essence, you are selling the house back to yourself all over again. As such, you have to stay in your home for a few years after refinancing to make it worthwhile. You can use this home refinancing calculator to help you determine your break-even point and see if refinancing makes sense for you. The rule of thumb is to refinance when you can recover the cost of refinancing within 24 months. When Refinancing Does Not Make Good Financial Sense? You may not want to refinance if your new mortgage payment will be more than 28% of your income. This will put to much strain on your cash flow. Think carefully before refinancing to consolidate unsecured debt such as credit card balances. A refi home loan is a secured debt and if you don’t change your spending habits in the process, you could end up losing your home. Do not refinance to buy depreciating assets, especially a car or electronics. Do not refinance to pay for non-essential expenses, such as a vacation or a wedding. Consider other options carefully before using refinancing your home to pay for your child’s college education. @Leslie – I don’t think so. You already paid 75% of the total interest for the loan. If you refinance, you’ll be starting that process all over again. Is it worth refinancing a 15 year, 5% mortgage — with 6 years 10 months remaining? @Kim – assuming the lender is trustworthy (try checking BBB or ask around), I think the math makes sense for you to refinance. You’ll be paying about $4000 more in interest and add 7 years to the loan, but after factoring in inflation, you should come out a head on this one. While we’ve never renegotiated, we’ve considered it several times. It’s so easy to become complacent and not bother to get the ball rolling and investigate the costs & benefits of refinancing. @J Carr – The key is to compare what you have to pay in interest for the current loan vs what you have to pay in interest rate for the new loan + closing costs. For example, if you have to pay $100,000 in interst for your old loan, and only $75,000 for the new loan plus $5,000 in closing costs, you’re saving $20,000 so you should refi depite the 2 extra years because you’re still saving money. @Josh – Not all lenders are the same, so choose carefully. You don’t really need a local lender, so you can work with anyone you like. You can probably get a better rate than 6.25% now and lower your monthly payments; however, realize that you’ll pay a little more now that the house is no longer your primary residence.